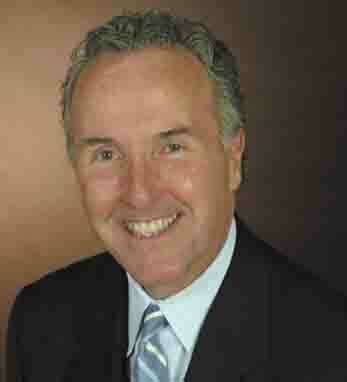 Frank McCourt is president and CEO of The McCourt Company, a Boston real estate development business specializing in commercial building properties. He is also the owner of the Los Angeles Dodgers baseball organization. Frank’s great-grandfather founded The McCourt construction company in 1893, and it has remained in the family ever since. In 1977 Frank’s father, who was also called Frank, founded The McCourt Company, a spin-off of the original construction business. Frank is not the first in his family to own a major league franchise, as his grandfather was part-owner of the Boston Braves. He previously attempted to purchase the Red Sox and the Angels and is a lifelong baseball fan and Red Sox season ticket holder. He is on the Board of Regents at Georgetown University, where he graduated in 1975. He also sits on a number of civic boards, including the Greater Boston Chamber of Commerce, the Boston Municipal Research Bureau, and the Make a Wish Foundation. Frank and his wife Jamie were married in 1979 and have four sons.